The theme of football boots in the last year has focused on one specific event alone: The World Cup in Brazil. And with a colourful destination like Brazil, the boot designs have been very vivid and in wild colourways. The World Cup came to an end yesterday, so Nike felt it was time for a change. Therefore they have presented us with the Black Pack. Read all about it here. Black is the new black. That has to be the thought process Nike's design team used, when they designed the first collection after the World Cup. Black Pack is actually an old concept, which first saw the light of day about a year ago. Back then it was called the Stealth Pack. The collection was incredibly popular and that might be why Nike decided to give it a swing again. And just like a year ago, the blackout design covers all of Nike's silo's. One thing that has however changed since last year, are the boots themselves. Since last year we have said goodbye to the popular CT360 Maestri III. This has been made up for with the introduction of two new boots, as well as one makeover. 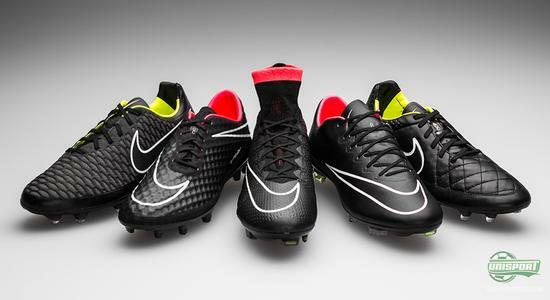 With this Black Pack Nike have still kept two of the colours, which dominated the boots designs at the World Cup. The Mercurial Superfly and Hypervenom therefore have a little bit of the Hyper Punch colourway, as an accent colour, while the Magista and Tiempo have the neon colour you found on both boots at the world Cup too. For the Tiempo it is always something special, when it gets a blackout update. This silo is Nike's oldest and dates back to 1994, where a whopping 10 players wore it in the World Cup final, where the Tiempo featured in a black colourway. The Tiempo V is the latest version of the now 20 year old collection and is still made with the classic kangaroo leather upper. Something getting rarer and rarer on football boots these days. 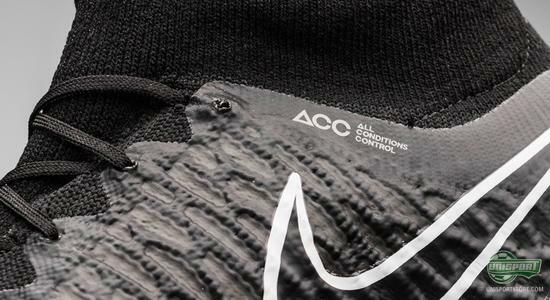 Nike have incorporated their ACC into this upper, to ensure it has a consistent touch in all types of weather. 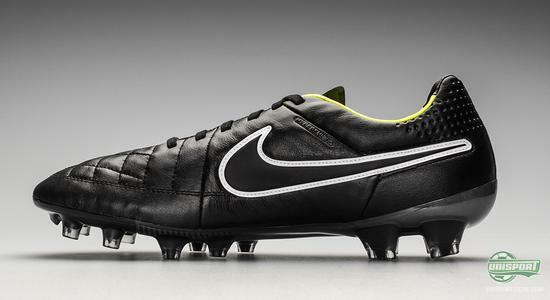 Jump in and pre-order the Tiempo Legend V Black/White/Neon already now – just 166 euro. When the Stealth Pack was unveiled last year the Hypervenom had just joined the Nike Football Family. 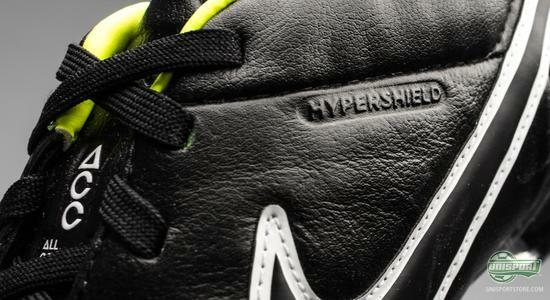 The blackout colourway was therefore only the second Hypervenom to be unveiled. 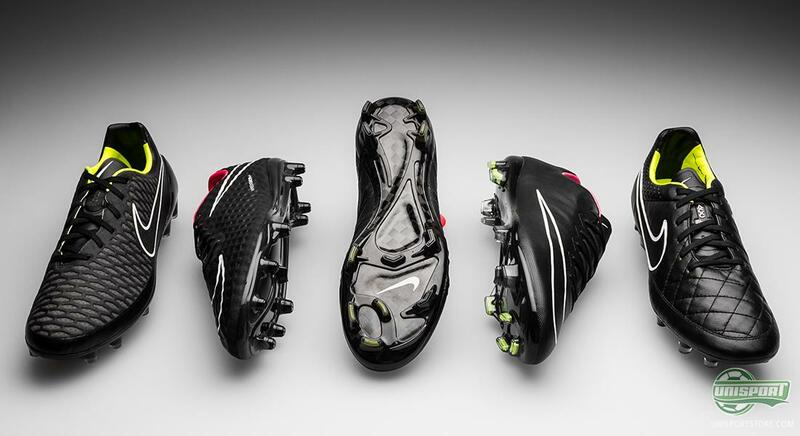 Since the introduction of the boot last summer we have seen countless fantastic colourways and this new Black Pack version is a great way to cap off an excellent year for the Hypervenom. It was developed to replace the T90 collection and with its super flexible upper it has taken the world by storm. 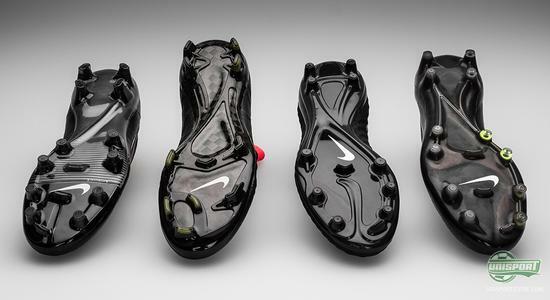 Nike's anatomically correct GF13 last, as well as their innovative NikeSkin, make for an excellent boot, which can adapt to many different foot types. 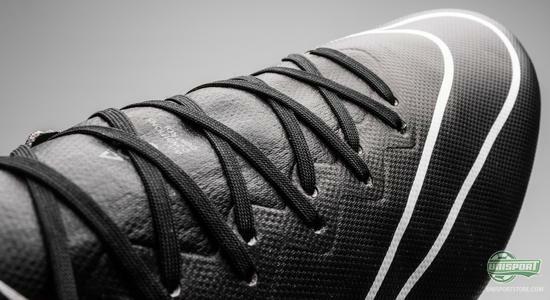 Especially the soft upper, with the unique texture has helped make the Hypervenom one of the most popular boots on sale. 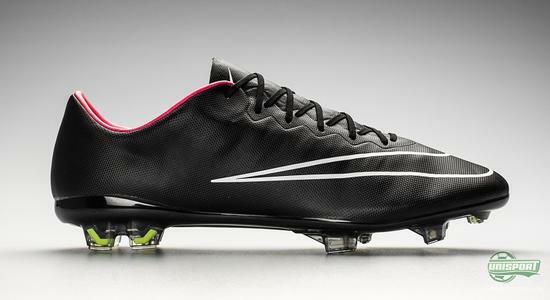 Go on in and pre-order the Hypervenom in a Black/White/Neon colourway already now – just 209 euro. 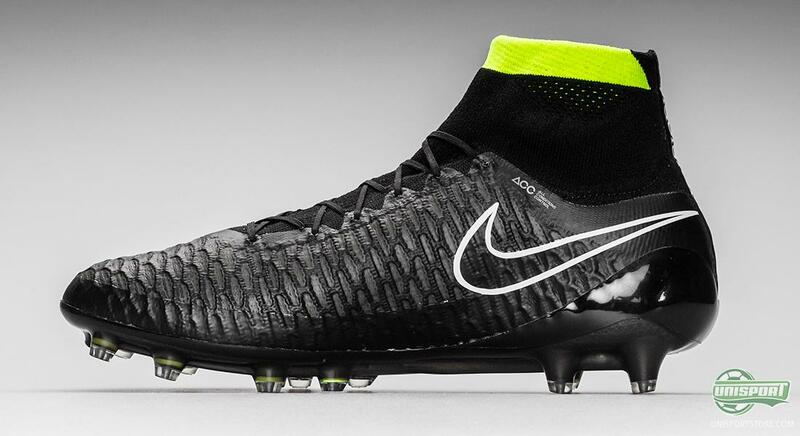 And when on the subject of popular football boots, there is no getting around the new Magista Obra. The Magista represents the start of a revolution from Nike and as we all saw at the launch event in Barcelona in March, it is now available in a blackout model, which is only broken up by a neon stripe on the dynamic fit collar. This ankle-sock is also one of the features that makes this Magista Obra unique. Together with the Flyknit upper, it may be a glimpse into the future and a look at what football boots will look like years from now. Nike have worked on it for four years and we have to say, they have taken everyone by storm. You can pre-order the Magista Obra Black/White/Neon already now – 275 euro. And while the Obra took the world by storm, the Opus quietly stepped onto the spotlight with it. A common misconception was that the Opus would be a takedown model, next to the dominant Obra. 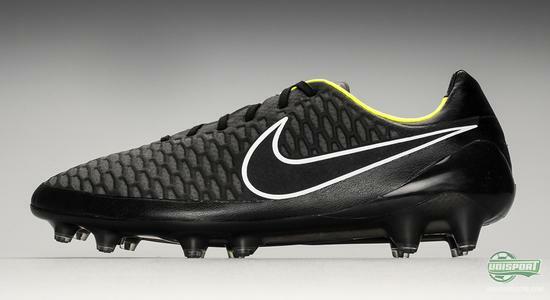 It is however a great boot in its own right, which can in many ways be seen as the rightful heir to the CTR360 Maestri III. It is made with the same KangaLite upper material like the Maestri and is also built around the same last. The Opus is therefore in many ways a combination of Obra and Maestri and we have seen plenty of player prefering the Opus to the Obra – a few good examples being Thibaut Courtois and Jack Wilshere. Find the Black/White/Neon Magista Opus right here – just 190 euro. 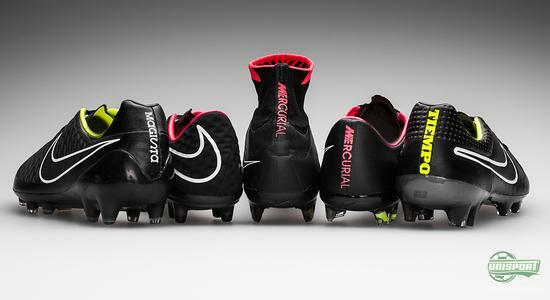 While the Magista represents the newest side of Nike, the Mercurial shows how far Nike have come in 20 years. The silo first saw the light of day in 1998 and has just evolved into its 13th and 14th generation. The Mercurial Vapor is the 10th generation of the Vapor-family and has been presented together with the overshadowing Mercurial Superfly. 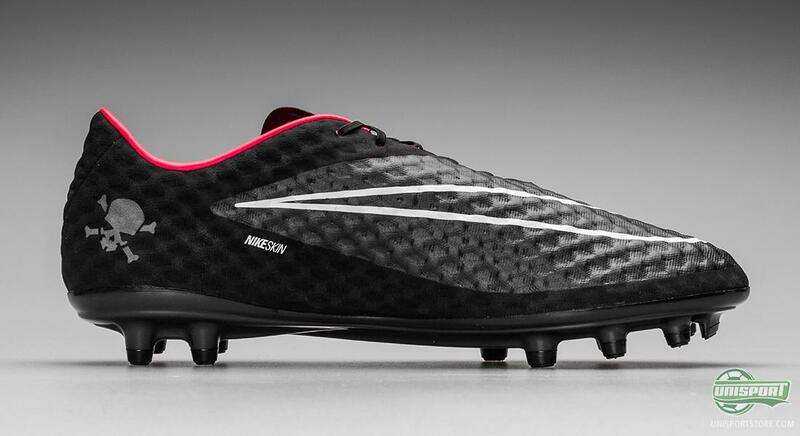 It has also been given the blackout treatment and as always the lightweight boot looks sharp. This 10th generation has been given some modifications compared to the Vapor IX before it. The most noticeable change is that Nike have removed the boots tongue, to make it a single piece upper, which gives a might tighter fit. The soleplate is the new, stronger and more springy nylon plate, which focuses on explosiveness like never before. Find the Mercurial Vapor X Black/Red/White here and pre-order it now – just 190 euro. 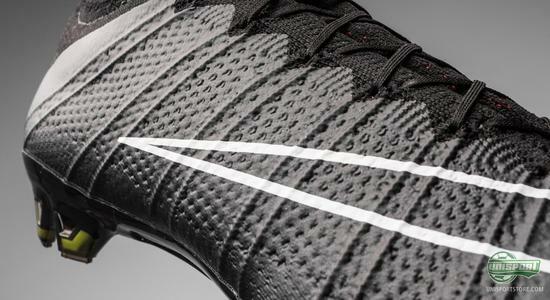 And explosiveness is precisely the idea behind the new Mercurial Superfly too. Developed with the same principal as the Magista, with a Dynamic Fit Collar and Flyknit upper, Nike looked to create a football boot with explosive speed. The innovative upper works to give one of the best fits on the market, while the Brio-cables on the side of the boot help keep the boots upper well in place. The upper is a very important part of creating explosive speed, but the sole is just as crucial, if not even more so. 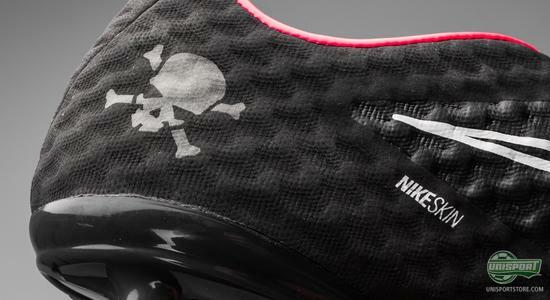 The sole is made from Nike's carbon-fibre outsole, which is a 2-layer composition, rather than the previous 3-layer. 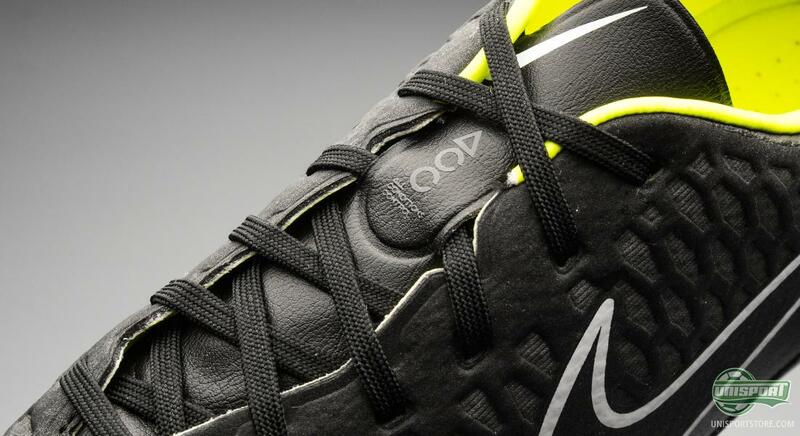 This gives a more flexible sole, which Nike's athletes have requested. 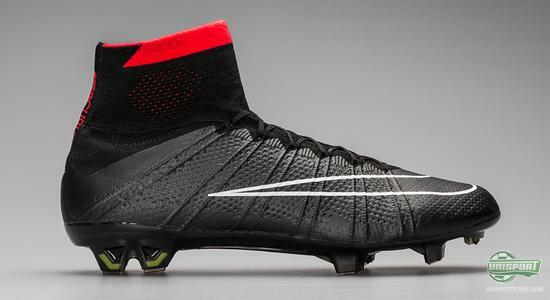 Find the new Superfly right here and pre-order it now – just 275 euro. 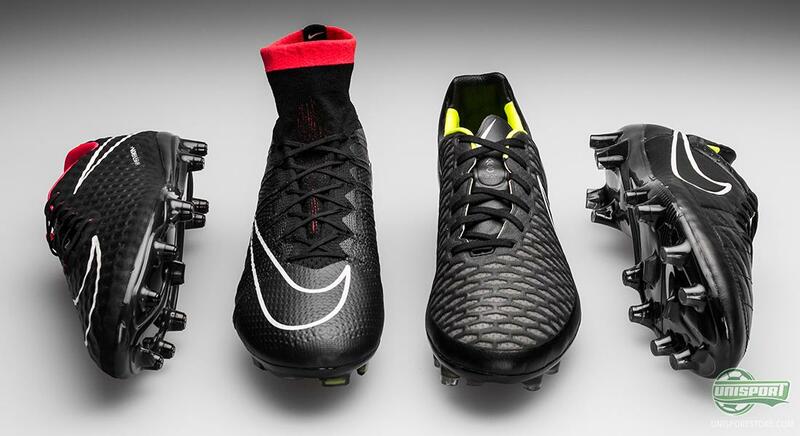 All in all this Black Pack is far from a revolution, when it comes to design and technology , but black football boots are fewer and further between and that Nike have released all their boots in this coloruway makes us clap our hands with glee. Especially the introduction of the two new Flyknit Flyknit based football boots, the Magista Obra and Mercurial Superfly, was a great reason to celebrate and a blackouting was definitely in order. Nike's Black Pack has just been presented and just like last year, we are certain this blackouted collection won't be around for long, as they get torn from the shelves. Blackouted football boot are just something else What what do you think of the new Black Pack and which of the five models has caught your eye the most?